Magento is one of the top 5 e-commerce solutions and is considered a market leader. It has been one of the big players in web commerce since its beginning in 2007. Its continued strength among greatly increased competition, in a field in which many competitors have come and gone, indicates resiliency, integrity, dependability and quality. Burger King, Land Rover, Coca Cola, Ford, Fox Connect, Nike, Rite Aid, The North Face, Ghirardelli and Fiji Water are only a few name brands that use Magento for their web stores. 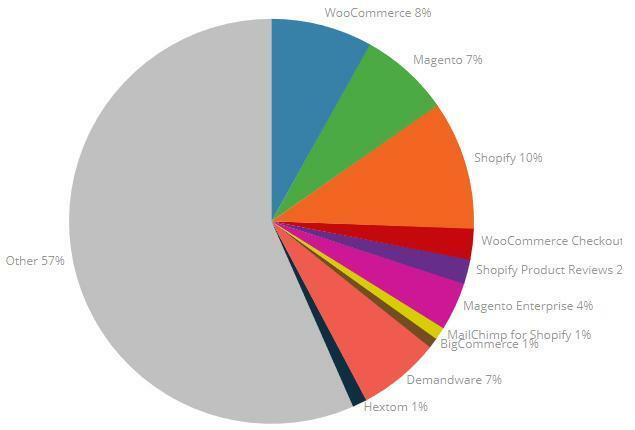 Currently, the top e-commerce platforms are WooCommerce, WooCommerce Checkout, Magento Open Source, Magento Commerce, and Shopify. BuiltWith Trends provides the following data on market shares of these platforms, looking at different sample sizes along the dimension of popularity. 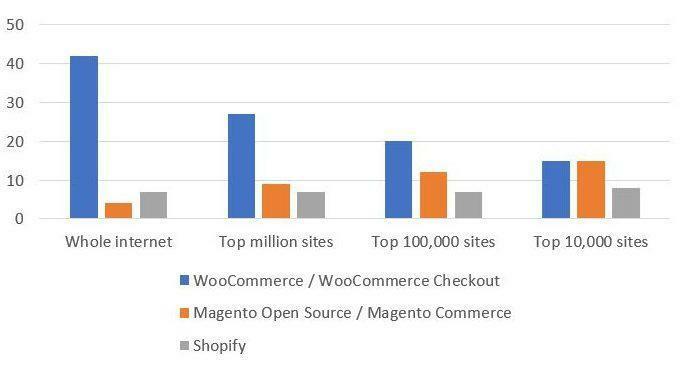 There is a clear pattern: the more popular the website, the more likely it is to be Magento. Notably, when you get to the most popular 10,000 commerce websites, Magento is tied for first place with WooCommerce (which has saturated the internet with easily created stores). In the early 2000’s, e-commerce was regarded with suspicion. It had yet to be widely established as safe, secure, and reliable, especially for smaller sites that weren’t Amazon or eBay. Given that, Magento was a pretty early presence in e-commerce, and its ascent coincided with the ascent of e-commerce. It quickly rose to prominence, as we can see from the graph below, which charts search term interest, using Google Trends data. 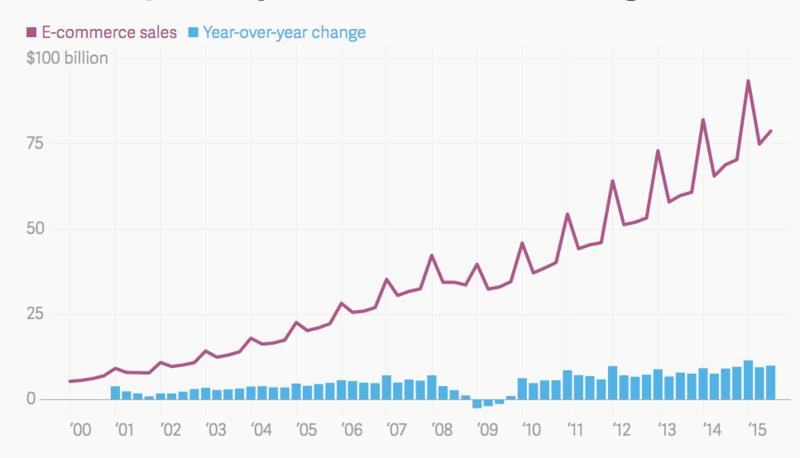 E-commerce has been ballooning hand over fist. There is plenty of room for different kinds of e-commerce solutions. Many of the newer platforms serve different purposes than what Magento focuses on. For example, solutions such as Squarespace and Shopify cater to smaller-scale stores that don’t need robust feature sets. Shopify has stringent limitations on customization, whereas Magento is built around the idea of customizability. In its space, Magento still reigns. Magento is open-source, which means anyone can contribute and the best code wins. Over its long history, Magento has been in a continuous process of refinement and optimization. Far from losing adherents, the community is thriving and the platform is getting better and better. When dealing with web frameworks it is important to assess the field, periodically. 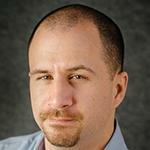 Content management systems and e-commerce solutions wax and wane in viability. Checking the status of Magento, we see a strong web technology that will remain prevalent for a long time to come. To learn more about our experience with Magento, see Magento Website Development, Magento Open Source 2.0 and Magento Commerce 2.0.